A collage of experiences in Jordan as told by TechWomen. Against the backdrop of Petra, a wonder of the ancient world, forty-five women from eight countries said their goodbyes last week. The TechWomen delegation concluded with stronger bonds and increased cultural understanding between mentors and emerging leaders. “Exciting,” and “inspired,” were some of the words used by participants to describe the events and opportunities for connectivity during the journey. The delegation participated in a networking conference at Princess Sumaya University for Technology, where Her Royal Highness Princess Sumaya delivered welcoming remarks. 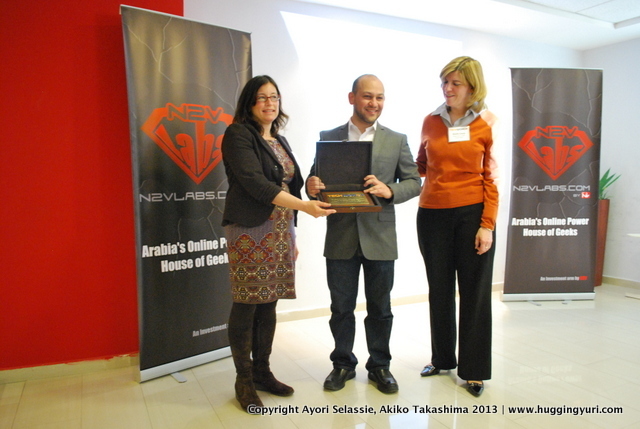 The participants also met with N2V, one of the largest internet holding groups in Arabia focused on value creation through building and investing in Arabic consumer web and mobile ventures; INJAZ, an independent non-profit that was founded under the patronage of Her Majesty Queen Rania Al Abdullah with the mission to inspire and prepare young Jordanians to become productive members in their society and succeed globally; Amman Tech Tuesday, a monthly event that brings industry experts, local technologists, entrepreneurs and idea generators together in a casual setting to meet and learn from one another; and Oasis 500, a leading early stage and seed investment company, the first of its kind in Jordan and the MENA region. 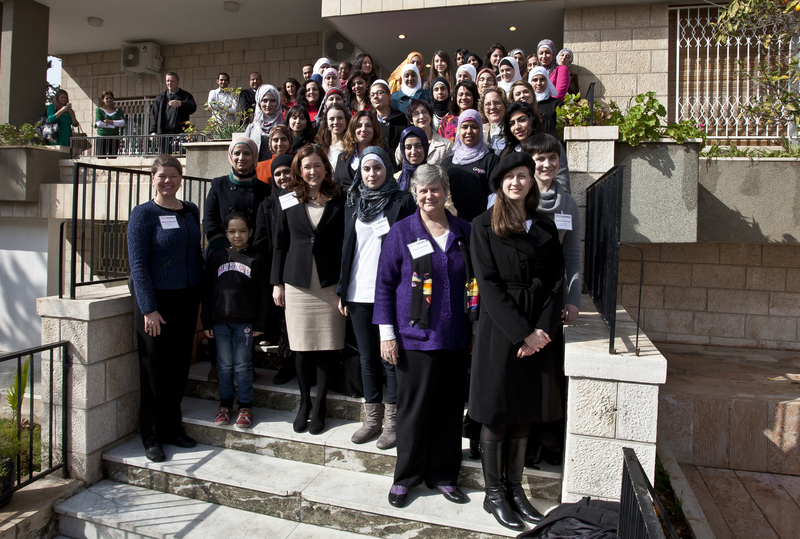 Meeting the 2012 TechWomen Mentors! Heather Ramsey, Director of TechWomen at IIESF, presents the TechWomen emerging leaders stats to a crowd of 2012 Professional and Cultural Mentors. 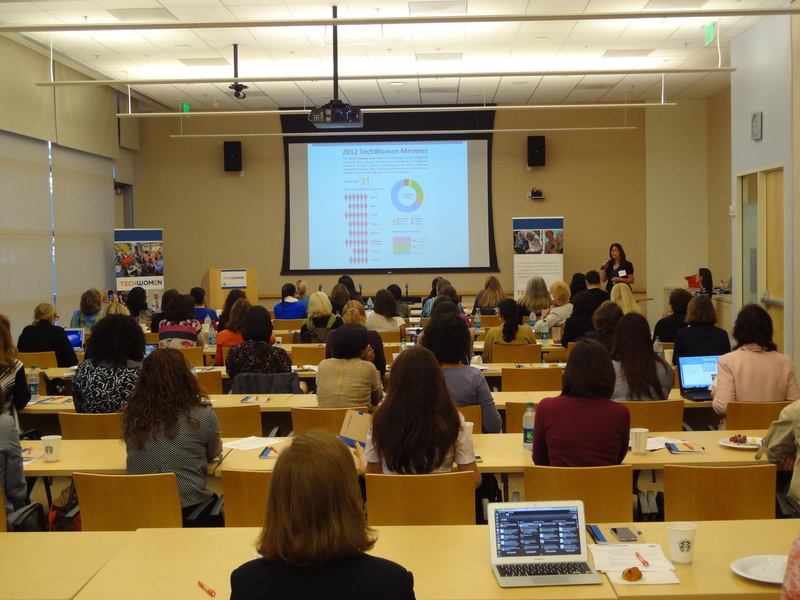 The 2012 TechWomen season has officially begun! 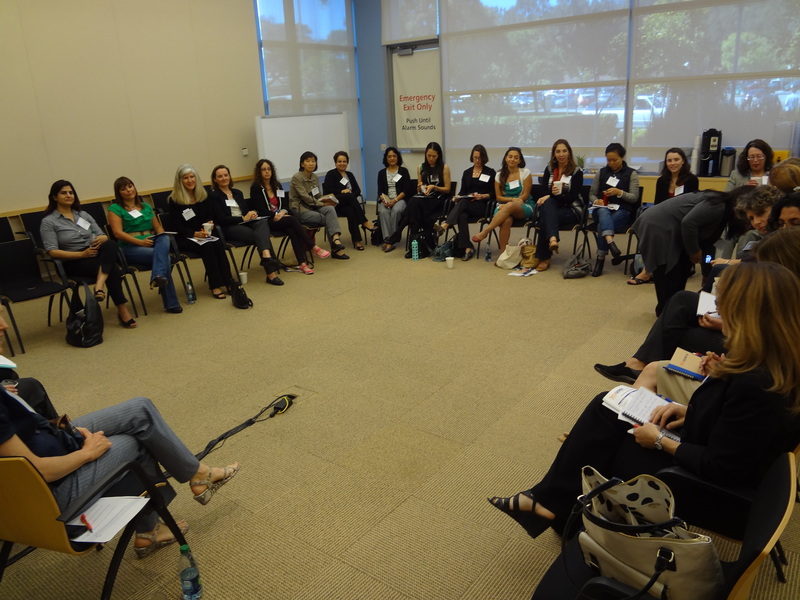 We opened with a fantastic Mentor Workshop on Tuesday, August 7th hosted by Walmart Global eCommerce in San Bruno, CA. The workshop aimed to prepare the new TechWomen mentors for the three weeks they will spend mentoring emerging women leaders in technology from the Middle East and North Africa. More than 60 mentors attended the event, representing 50+ leading technology companies in the San Francisco Bay Area. The participants were welcomed by Walmart Global eCommerce CTO, Jeremy King, followed by Trish Tierney, Executive Director of IIE San Francisco. Representatives from the U.S. Department of State—Lee Satterfield, Deputy Assistant Secretary of State, and Sheila Casey, Deputy Director of the Office of Citizen Exchanges, Bureau of Educational and Cultural Affairs—also spoke to the mentors via live video conference. Fabiola Addamo, pictured speaking, shares her experience during Q&A. 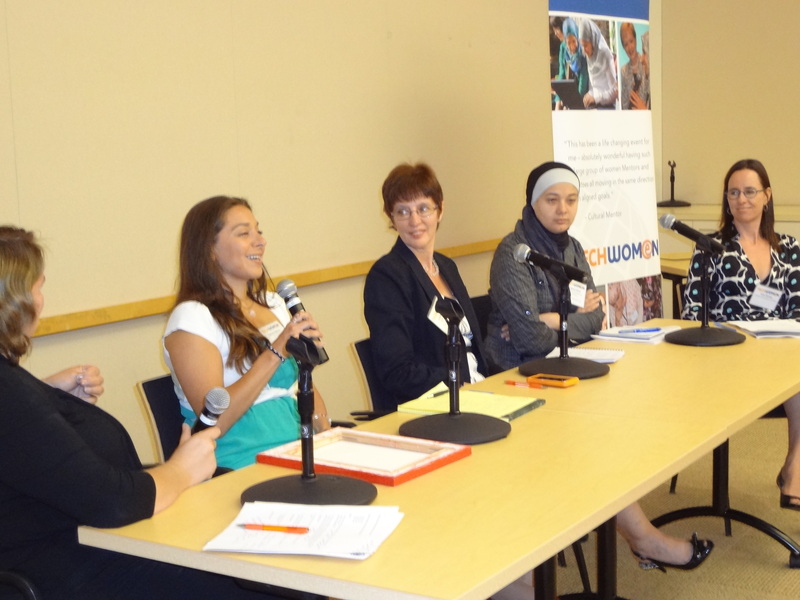 Also pictured are Larissa Shapiro, Christine Duran, Taghrid Samak, and Trish Tierney (from left to right). 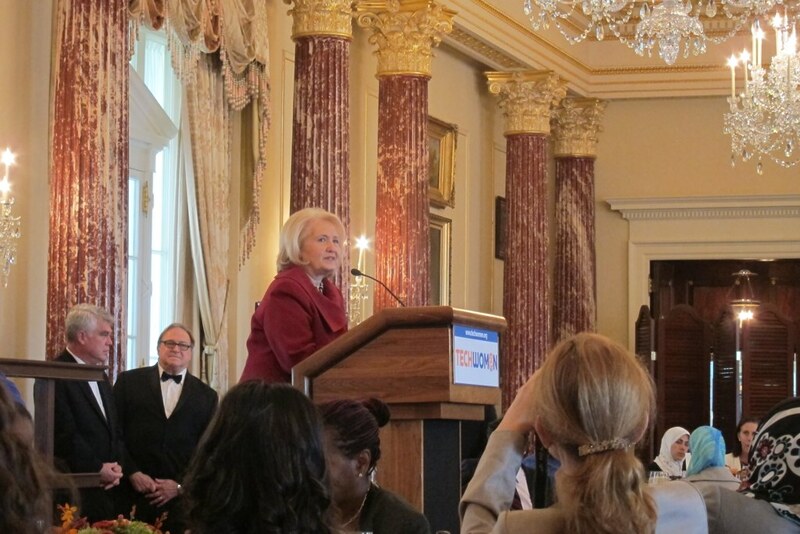 @katy_dickinson: In mentor training for 80 @TechWomen, 12 of whom were with me for 2011 initial program. Exciting and heart warming to see so many friends. Stay tuned for more TechWomen updates. The Mentees arrive in less than four weeks!